Ham (elbow) re-signed Tuesday with the Vikings on a one-year, $645,000 contract, Andrew Krammer of the Minneapolis Star Tribune reports. Analysis: The transaction was more of a formality than anything else since Ham was an exclusive-rights free agent and his choice was either to sign the contract or sit out in 2019. 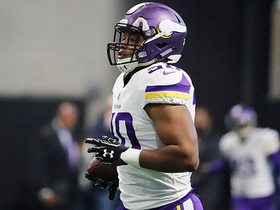 The third-year fullback has carved out a sizable role on both offense and special teams for the Vikings in both of the past two seasons and should again see a modest amount of playing time in 2019. Ham (elbow) is ruled out for Sunday's game against the Bears. Analysis: Ham will remain sidelined as he nurses an elbow injury sustained during a Week 16 win over the Lions. Expect Latavius Murray and Ameer Abdullah to see increased work as blockers as long as Ham is unable to suit up. Ham (elbow) did not practice Thursday, Chris Tomasson of the St. Paul Pioneer Press reports. Analysis: Ham continues to manage an elbow injury sustained during Sunday's win over the Lions and has now missed two straight practices. If the starting fullback were to sit out Week 17, Latavius Murray and Ameer Abdullah could see increased work as blockers. Ham is questionable to return to Sunday's game against the Lions due to an elbow injury. Analysis: Ham exited the Week 16 tilt during the first half. As long as the starting fullback remains sidelined, Latavius Murray and Ameer Abdullah could figure to receive a small uptick in snaps. Ham had two receptions for 11 yards on two targets in Sunday's loss at New England. Analysis: He played just five snaps from scrimmage, as he continues to have a minor role in the offense with only one game (a blowout loss) of more than two touches. Ham had two receptions for seven yards on two targets in Thursday's loss at the Rams. Analysis: Ham played 20 snaps on offense after 17 snaps last week. He's carving out a regular yet modest role on offense, but he may only get a few touches a week since he's mostly being used as a blocker. 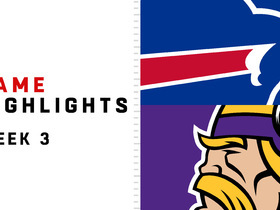 Ham had five receptions for 47 yards on six targets in Sunday's loss to Buffalo. Analysis: Ham played 17 snaps and had nearly as many targets in one game as he did all of last season (eight). However, Ham was likely just getting playing time amid a blowout loss, and he should have a minimal role, outside of blocking, in the offense next week. 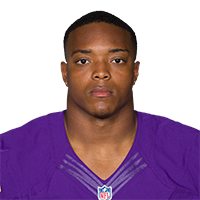 Ham's spot on the roster looks secure as the Vikings plan to keep a fullback on the roster, ESPN 1500 am Twin Cities reports. Analysis: However, Ham may not get many carries as he had just seven rushing attempts for 13 yards and one score to go along with seven receptions for 68 yards through 16 games in 2017. He'll mostly be used as a blocker in short-yardage situations. Ham recorded seven rushing attempts for 13 yards and one score to go along with seven receptions for 68 yards through 16 games in 2017. Analysis: Ham switched from running back to fullback in the offseason after spending the 2016 season on the practice squad. While he wasn't utilized consistently on offense, he still managed to record 204 offensive snaps on the season and adding an additional 290 snaps on special teams. Under contract through 2019, Ham should retain his role as fullback in 2018. Ham (neck) was a full participant in Wednesday's practice. Analysis: Ham suffered a neck stinger in Week 17 against the Bears, but the injury didn't prove to be anything severe. Barring some sort of setback, he's fully expected to suit up for Sunday's playoff game against the Saints. Ham, who suffered a neck stinger in Sunday's win over the Bears, said he expects to play in the Vikings' postseason opener Jan. 14, Chris Tomasson of the St. Paul Pioneer Press reports. "I'm good," Ham said. "Just a stinger. It was nothing too serious. I hit somebody and felt a little stinger, kind of the life of a fullback. I'll be ready to go on the 14th." Analysis: Ham didn't return to the Week 17 contest after departing in the first half with the injury. With the Vikings clinching a first-round bye with the victory over Chicago, Ham will have a full week to rest up and recuperate before the Vikings take the field in the divisional round. Ham served mostly as a blocker while playing all 16 games of the regular season, finishing the campaign with seven carries for 13 yards and a touchdown and seven receptions for 68 yards. Ham injured his neck in Sunday's game against the Bears and didn't return. Analysis: The Vikings secured a first-round playoff bye with Sunday's win over the Bears, so Ham will have an extra week to recover. He has just seven carries for 13 yards and one touchdown this season, but his blocking provides value for owners of Latavius Murray and Jerick McKinnon. Ham had three carries for eight yards in Sunday's win over the Rams. Analysis: Ham had a season high in carries, but played just 19 snaps on offense. He could carve out a larger role if anything were to happen to Jerick McKinnon or Latavius Murray. Otherwise, the Vikings don't use him much as a fullback in the offense. 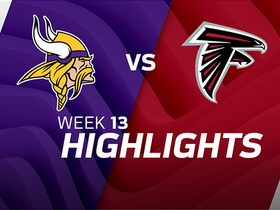 The Minnesota Vikings flexed their defensive muscle all game and Case Keenum added two touchdown passes for a 14-9 road victory against the Atlanta Falcons. 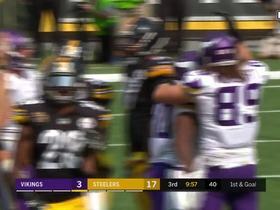 Minnesota Vikings quarterback Case Keenum tosses a swing pass to fullback C.J. Ham and he spins around a defender for a first down. 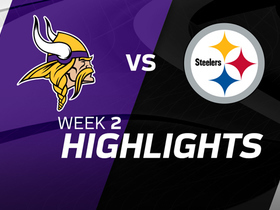 Check out highlights from the Week 2 matchup between the Minnesota Vikings and the Pittsburgh Steelers. 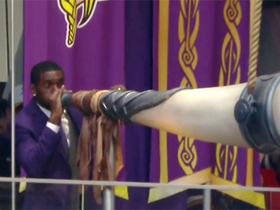 Minnesota Vikings running back C.J. Ham rushes for a one-yard touchdown.